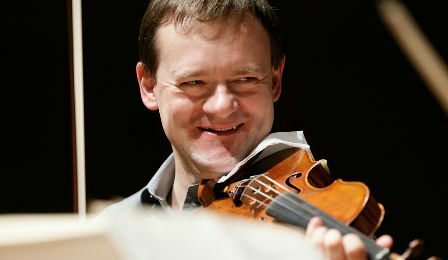 WHERE ARE THEY NOW | Frank Peter Zimmermann, Bach E Major 'Preludio' – October 13th 2013 - The World's Leading Classical Music News Source. Est 2009. We know the legends, we own the recordings, we’ve seen the historical footage – but what can we expect from the live concert experience today? VC explores. German virtuoso Frank Peter Zimmermann performing the ‘Preludio’ from Bach’s Solo Partita No. 3 in E Major. Recorded live and unedited from the Großes Festspielhaus, Austria – October 13th 2013.